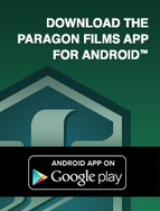 Paragon Films was founded in 1988 in Tulsa, OK, under the innovative leadership of company president and industry pioneer Mike Baab with the vision of combining cutting-edge technology with a highly skilled work force to produce a line of stretch film unparalleled in performance, value, quality and consistency. With Paragon’s commitment to the reinvestment of company profits and an array of innovative new products contributing significantly to growth, a second plant opened its doors in Taylorsville, NC in 2005 and later a third location in Union, Gap, WA in 2013. Throughout its history, Paragon has consistently responded to challenges and opportunities with tireless innovation, bold creativity, and entrepreneurial passion. Our proven ability to absorb, advance and produce new technologies, processes and organizational philosophies has long fueled our competitiveness and growth. 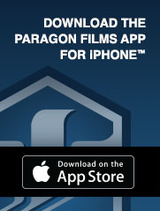 Paragon’s dedicated sales team possesses the skill and expertise to identify your stretch film needs. Internal processes and procedures are in place to ensure the delivery of top quality products in a timely manner. The customer service staff, with access to a fully integrated computer system, can track specific orders through production, shipping, and billing. The system can identify who purchased a specific roll of film, when it was sold and which production line, operator and raw materials were used in the process.